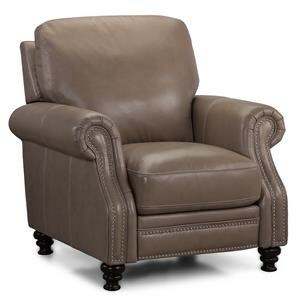 Sink into the luxurious comfort of this casual arm chair. Overstuffed seat cushion and large channeled backrest cushion combine to make the best seat in the house. 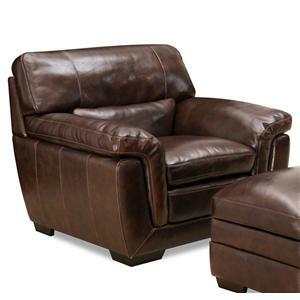 The neutral Stampede Buff leather upholstery makes this piece easy to match with home decor, or dress up with accent pillows. Large track arms and wood block feet finished in espresso complete the casual-modern look. 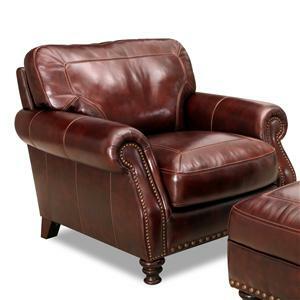 Pair with the matching ottoman for the complete set. 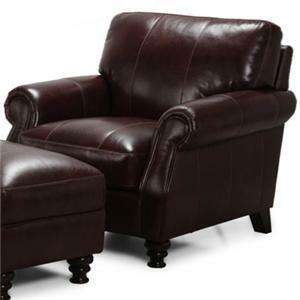 The J047 Casual Leather Arm Chair by Simon Li at Howell Furniture in the Beaumont, Port Arthur, Lake Charles, Texas, Louisiana area. Product availability may vary. Contact us for the most current availability on this product. 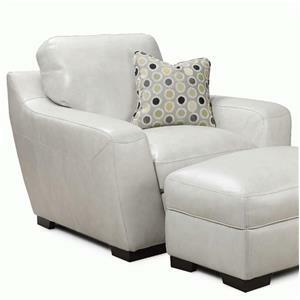 Fabric Options This collection is available in a Stampede Buff leather upholstery. Leg or Skirt Large block wood feet finished in a Espresso brown. Treat yourself to a luxurious upholstery collection for your home with the J047 collection. 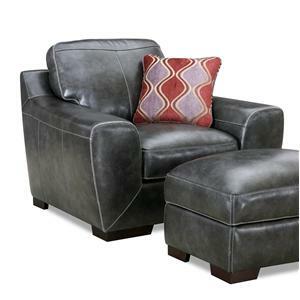 Each plush piece features overstuffed seat and channeled tufted backrest cushions that you can sink into for ultimate comfort. 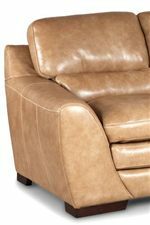 The neutral Stampede Buff tan leather upholstery enhances the smooth comfort, while making it easy to fit into your home decor. Large, thick track arms and exposed wooden block feet finished in espresso maintain a modern look for this casual, comfortable set. 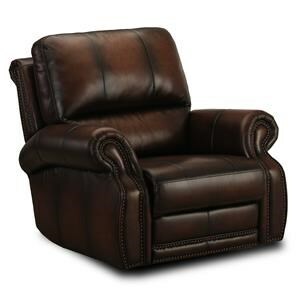 The J047 collection is a great option if you are looking for Casual furniture in the Beaumont, Port Arthur, Lake Charles, Texas, Louisiana area. 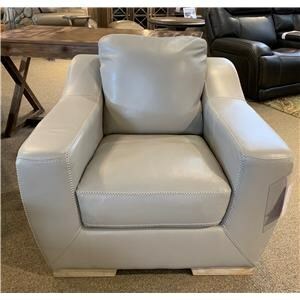 Browse other items in the J047 collection from Howell Furniture in the Beaumont, Port Arthur, Lake Charles, Texas, Louisiana area.